Published three issues a year starting 2005, the Journal of Orthopaedic Surgery is the official publication of the Asia Pacific Orthopaedic Association. Since 1962, the Journal has been an international forum for scientific research. It allows orthopaedic surgeons and scientists of the Asia Pacific Region to continuously update themselves with the latest discoveries and advances of orthopaedic surgery. The Journal was known as the Journal of the Western Pacific Orthopaedic Association from 1962 to 1992. 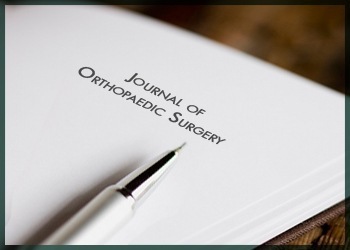 The title - Journal of Orthopaedic Surgery - was adopted in 1993 to reflect the expanding geographical boundaries of its international readership. Although the Western Pacific Orthopaedic Association changed its name to Asia Pacific Orthopaedic Association in 2000, today the Journal aims at a truly global readership. Original articles are received from most of the major countries around the world and peer-reviewed by independent Editorial Board members. In August 2002, the Hong Kong Academy of Medicine Press took over the Hong Kong University Press as the publisher of the Journal. HKAM Press is also responsible for the design and maintenance of the official journal website.